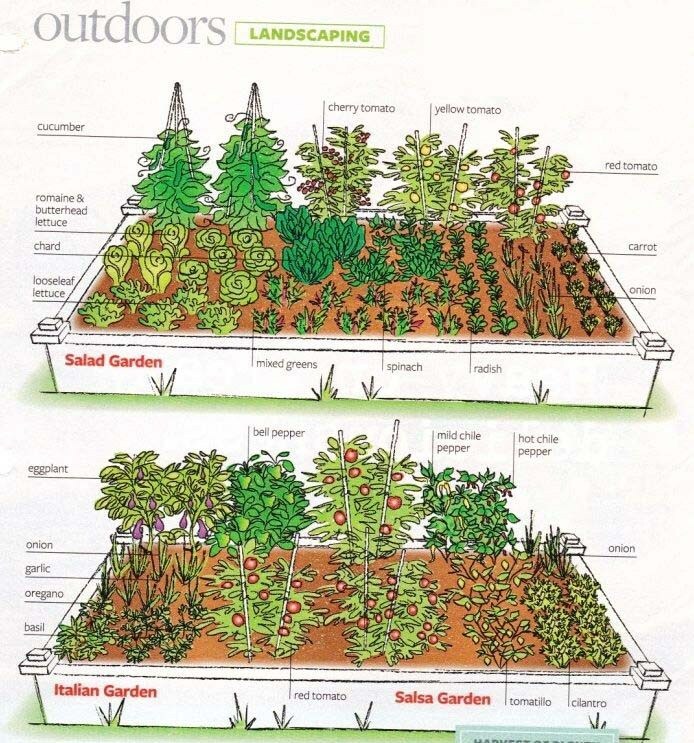 If you want to start growing vegetables, the first thing is to think about is the vegetable garden layout. To fully use the space you have, you need to create a basic design of the vegetable arrangements. Sketching the layout is mandatory. It will help you to correct the mistakes that may turn the whole garden into a disaster. Growing vegetable cuts costs. You can do as much as you need. It can be big or small depending on the layout you choose. Before choosing a layout you have to select a site. The site can be your backyard or front yard. Also, it can be anywhere around your house. You need to see that the site has enough supply of water, shade, and sunlight. The combination of these three factors must complement your garden design. You cannot just start gardening. Pre-planning all these are necessary. It will help you to get better end results, that is the vegetables will be of high quality. Designing the vegetable garden layout is not difficult. You need to know the basic gardening layouts. There are few ways that you can follow for planning the layout. Some of them are elaborated below. Rows are the most common layout for vegetable gardening. The distance between each row creates a walking path. This helps to attend each plant in an easy manner. Also, it enables good water supply for the plants through irrigation. If the rows are faced from north to south then they will have even sunlight. It will help the vegetable to grow in a healthy and proper way. If you want to grow plants that are tall in size then you should place them on the north of your layout. The spacing between each row is important. Enough space will let the plants grow without using up each other’s resources. Also, this enables you to use tractors or cultivators. It is wise to keep at least 18 inches of space between each row. If you are planning to grow vegetables that are bigger in size the row are the best option. But if you have a small space then you may not grow as many vegetables as you want. It is one of the latest technique usually used in Asian sides of the globe. Here you produce in vegetables in a wide band. The band might be 1 to 4 feet in width. And the length is as long as possible. The path between is smaller. As the vegetable plants are closer, you may have to weed by your hand. You cannot use a machine to weed as it may hamper the plants. It is not mandatory to work in rows. You might not have enough space. So, you can do intensive cropping by using the square foot technique. Here, you will plant the vegetables in small portions. The design will be square such as 4 feet by 4 feet. If you want you can further subdivide the square into 1 feet. You can plant on the subdivided squares according to the size of the plant when they grow up. This vegetable garden layout is for those who have less space in their backyard or front yard. You can always go for a traditional approach by starting a kitchen garden. Here, you plant vegetables, herbs, and flowers. The design of the garden is in such a manner that is both good looking and useful. People who are looking for beauty and artistic approach then they should go for this. The garden does not have to be big in size. You can plant you daily consumptions into a flower garden to make it more vibrant. You may want to consider plants that grow vertically. This way, even if you have less space you can use it efficiently. If the layout is effective, then you will have vegetables, herbs, and flowers that are of high quality. And the most amazing fact is a kitchen garden requires less maintenance. So, you can get more with less cost. 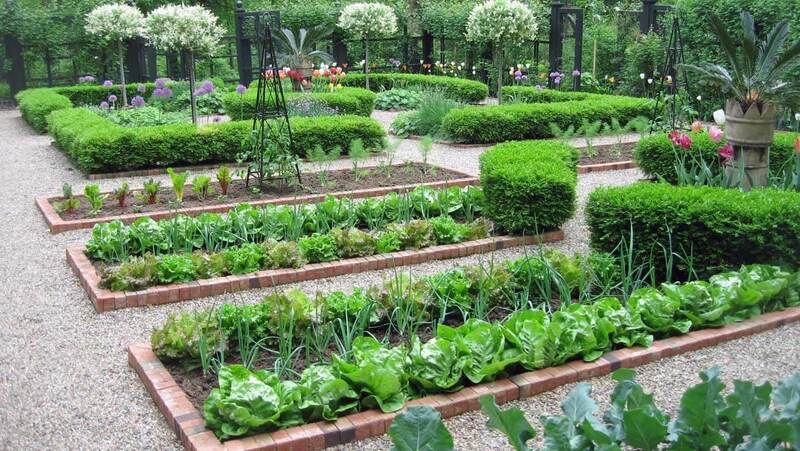 Kitchen gardens may create an attractive look for the people that may visit your home. It is not only attractive but productive too. Beds are an amazing vegetable garden layout. If you are planning to grow plants into groups then go for beds. Say for, you want to plant tomatoes and carrots. You can create a section for tomatoes to plant and a section for carrots. This helps you to grow more plants of the same category in a small area. Beds make better use of space. Also, you can use compost or fertilizers according to the demand of the plant. Beddings are of many types. Some are discussed below. Vegetables are planted on the ground but in groups. You can use larger areas for plantation. At first, you may have to work a little hard for planting. If you can plant in a proper manner, the hard work to weed lessen afterward. This method costs little as you do not have to buy woods for making boxes. If you have pets or children then it is best to avoid this technique. As they might run over the vegetables. Here you create boxes to raise the garden bed. You can raise it according to your need. The technique is best for soil composition. You can control it. The garden beds should not be broad. If so, you may not be able to reach the middle part. You should know that in spring the soil may heat up very fast. And in fall it may stay warm for a longer time. Here, the plants may often need more irrigation. Raised beds may reduce the problem of run over by pets or children. In conclusion, I would say you can follow any type of vegetable garden layout. The size of the plot and the layout should match each other. If they are perfect together then both your and extra hard work will be reduced. As you will invest money for gardening, the layout is important. Do not make it critical. If you are a beginner, it is best to stick with being simple. To learn how to start gardening, check our more posts in MyGardenPlant.com Blog.